Managed to get a brand new 18" alloy (the standard one fitted to the sport model) for £70 a part worn tyre for £28 and the jack set (as shown in the post above) for £29, total £127. Not too bad for a full size spare. Will post piccies once I get it altogether. Jaguarwheels won't fit a RCZ. Centerhole from Jaguar (and ford in general) is to small. 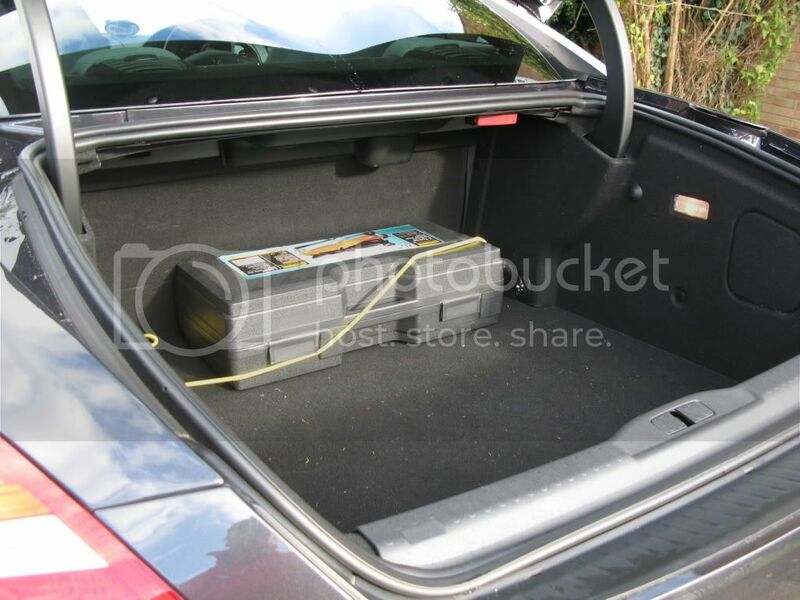 I just discovered that the new Peugeot 508 in some specs comes with a 18" spacesaver. I will check it out with my dealer next week but the ordernr should be 5401 V5 and 5400 V0 (tire). 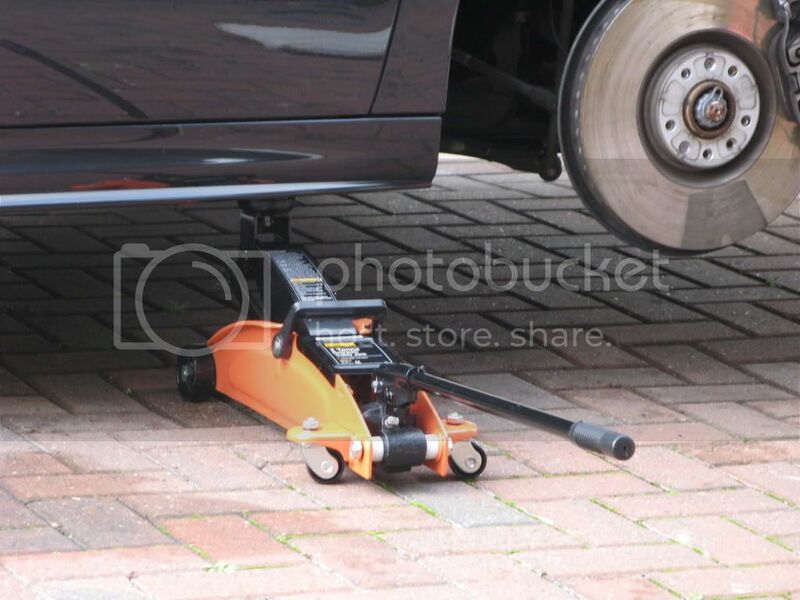 This 18" space-saver will clear the front calipers. BUT it's not recommended to fit a space-saver in the front. I will have the centre machined out to correct size as the centre has ample material to lose 3mm across the diameter. The Jag uses the same offset as Peugeot 5/108 but the internal bore on the Jag wheel is 62mm whilst the Peugeot is 65.1mm so i had to find a company to bore it out. I found an engineering company called TT Tools who machine alloy wheels so i had to remove the tyre and send to them the wheel and arrange pick up. Costs:TT tools £40, Courier charges £12 (Garage removed tyre and refitted for free). 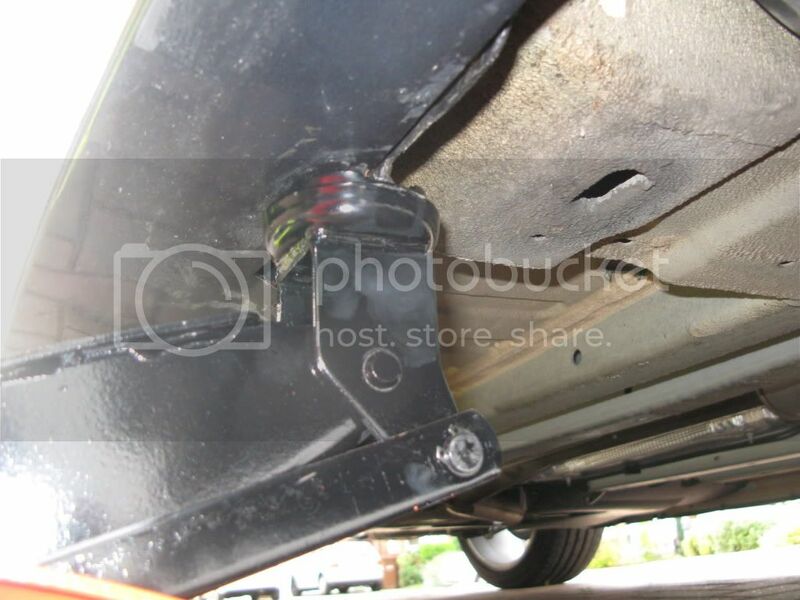 As you can see it fits perfectly and will fit on any axle.including the front. I would be interested to fid out what other aussie people have been able to use as a spare. As not keen on the idea of foam to fix a tyre. Well I found the only solution that I though would suit me best, and that is a 19" Midnight gray Sortilege alloy with the Continental contact 3 tyre, same as fitted in the car. It is an expensive solution but well worth the effort if you can afford it that is. 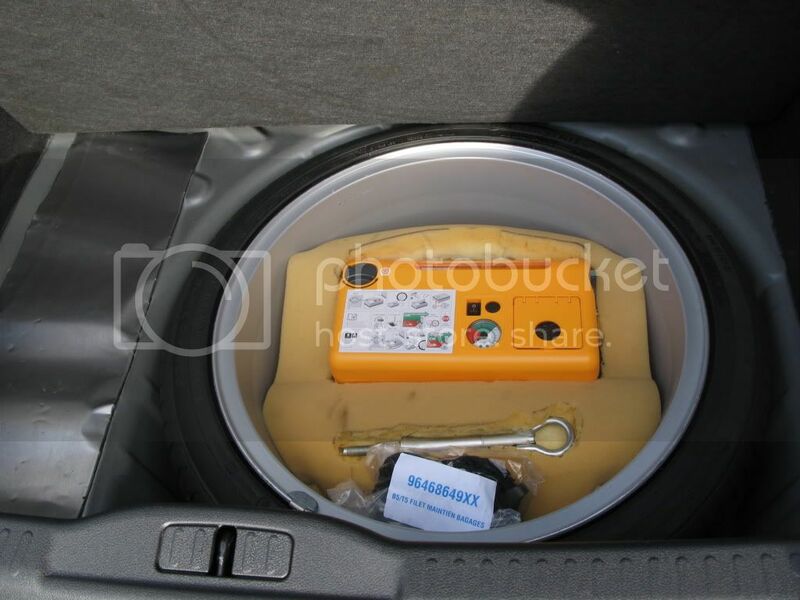 It is a very tight fit though and you have to deflate the tyre until no air comes out of the valve, and even so is a hard push to accomodate it in the well. 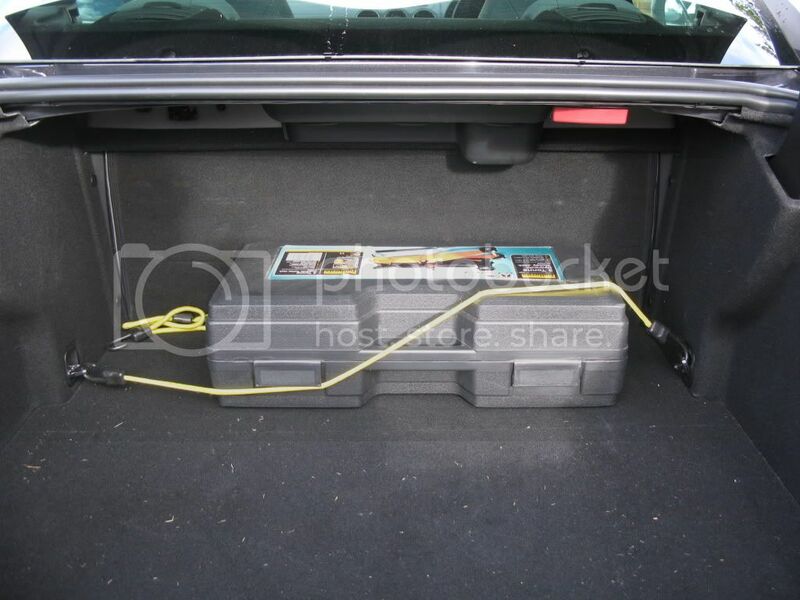 Also it has to go under the lip of the plastic bit fitted at the very back of the boot (rear end of the car), and for that you have to unclip the plastic pin to litf the plastic moulding up a bit. the carpet cover does not go completely flat on top of it, just a few millimiters out, but nothing to worry about. I took some pictures for people to see, as sometimes photos speak loads and better than words and also reassure people who may be thinking on doing the same. 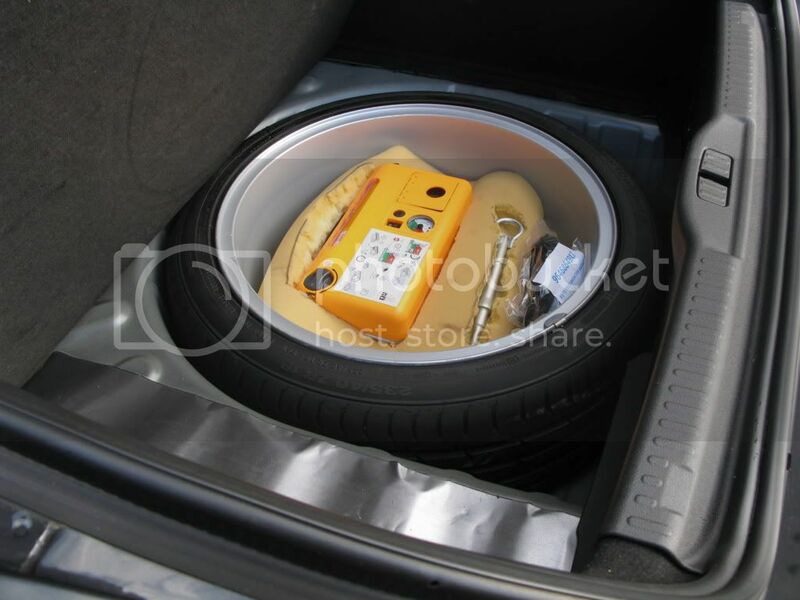 obviously you have to inflate the tyre if you need it after a puncture, (different presures depending if it a front or a rear you have punctured or damaged) and for that the you use the inflation system provided with the car. I really hope that this will help others if they are considering the above solution. 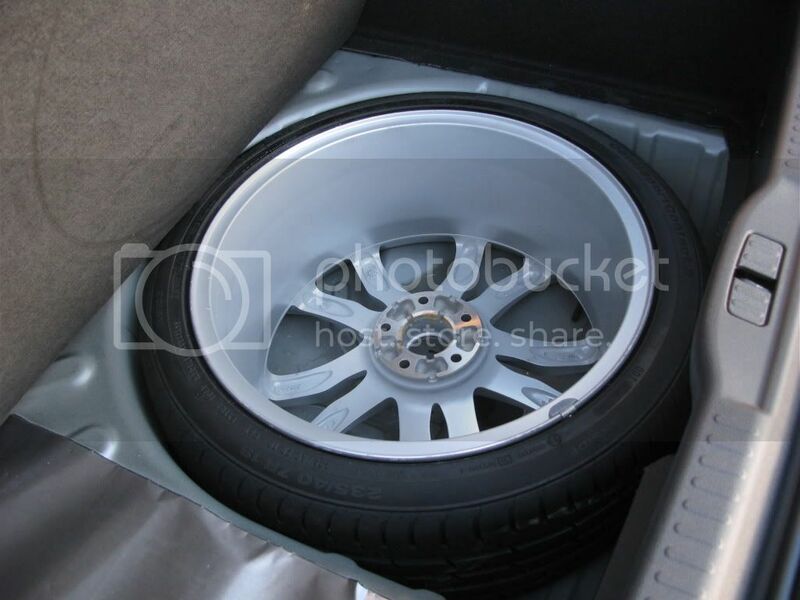 Picking my full size replacement spare wheel up from the dealers this coming Saturday. this summer i located a nearly new 19" sortilege wheel on Ebay.I bid £130& won it. It cost £20 for shipping & was like new. After deliberating about what rubber to use i decided to stick with the expensive Conti,as it's non-directional. That added another £220. A trip to Halfords to replace my 40 year old trolley jack plus a new wheelbrace, added yet another £50. Having used the jack to remove the fronts for cleaning, i find, as others have, that the jack only just fits under the sill @ the front. Thinking that this will be yet another problem when faced with a flat, i jacked-up the back & supported it with a large block of wood, then proceded as normal @ the front. (stuck fast), & then replacing the (heavy) wheel & lining it up with the bolt holes, ( it used to be so easy years ago with steel wheels & studs). Not the cheapest solution here on the Forum, & not perfect, but suits my situation. But still hope not to have to use it in anger !! The exact same jack I used good job on the spare wheel to. I like the idea of getting a space saver rather than the full size (as much from an expense point of view as anything) but I would suggest you consider how an insurance company would view it's use. It's not officially supplied by Peugeot, therefore the use of any non-standard wheel may be considered a modification to the car. They may argue that the car wasn't designed to be driven on a space saver if one wasn't available as a dealer/manufacturer option which may invalidate your insurance. If you've not asked your insurance company about a space saver I would suggest you do before spending any money, and if you already have one, phone them and get it in writing that they agree to it's use. The answers they give will likely vary from company to company...my g/f works for one (although not the one I insure with) so I know there's no industry standard answer. The thing to consider is, if you were involved in an accident while using one that hadn't been agreed to by your insurance company and if they were facing a huge payout to a third party as a result of an accident, they'll use any technicality to avoid paying out and will invalidate/withdraw your insurance on the basis of a lack of disclosure from you. Hate to be the bearer of potentially bad tidings but I'd rather raise it than see anyone here fall foul. Like many others, I had the painfull experience of visiting my local peugeot dealer parts department to find a solution only to be met with; "I DON'T KNOW", "CANT FIND PART NUMBER FOR SPACE SAVER", "YOU NEEDED TO ORDER IT FROM NEW!" I'LL PHONE YOU BACK WITH ANSWER" still waiting for call! I decided to take the step of getting replacement alloys with winter tyres, couldn't take the risk of skidding and kerbing a £500 19" alloy wheel and the car looks better moving then marooned beside the road on a couple of inches of snow! Not to mention in the long run, the cost of having summer tyres changed to winter tyres twice a year will eventually offset the initail outlay and keep the alloys in good shape and winter tyres should last about 4 winters and my summer tyres last longer. You will require a spacer kit £60, not for the offset of the alloy against the brake calliper/disc as this has plenty of room, but for the hub is slightly smaller than the wheel centre and without using the spacer your car will look like a citreon 2CV. Don't forget new set of locking wheel bolts as the originals wont fit! If the spacer kit comes with plastic collar, get the supplier to replace it with a metal one, otherwise you will have wheel vibration from 70mph +. They've been established about 7 months, state of the art premises, good product knowledge, excellent customer service and resolved my problem with one phone call to a supplier. can't fault them, Tony Barber is the chap to speak to, top bloke! Tony identified the wheel vibration was plastic collar and whipped wheels of and replaced it with their stock of metal ones, no quibbles. I'm soon to get another FX005 alloy and get a cheap tyre fitted for the purpose of having a spare as expecting the wife to lift a deflated 19" alloy/tyre out of a tight wheel well is a bit too much! On the subject of tires.... Will four 19" stock tires fit in the car just for transporting purposes? If you cram them in wherever you can. Yes. I fitted all four 19" tyres into mine. Method. 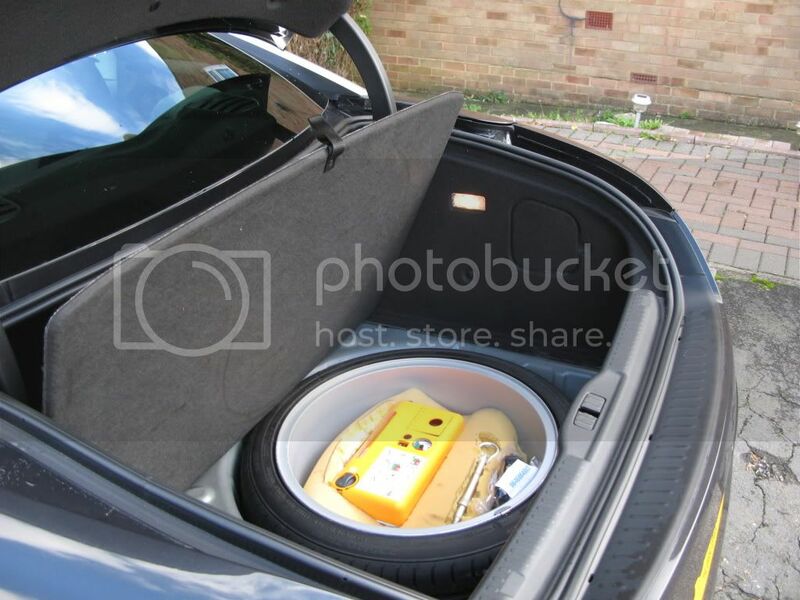 Empty boot completely, Store one tyre in the well beneath the boot carpet, Slide passenger seat forward and lower rear seat back, slide a tyre through the boot opening into the space created by moving passenger seat forward and the other two will slide easily into the boot space. Wouldn't be ideal for a long journey as the passenger seat impedes your view of the door mirror.